An industry first: access a single common liquidity on BTC/USD with fiat USD, PAX and USDC. Starting from today; LGO is introducing both Paxos Standard and USD Coin to the LGO trading platform and integrating them with an existing BTC/USD spot market. Clients now have the ability to fund BTC/USD trades in USDC and PAX. These coins will be credited on their USD balance 1:1. Fiat USD, PAX and USDC will be amalgamated into a single order book for Bitcoin trading. LGO is the first exchange to build common liquidity for fiat USD, PAX and USDC on a single order book, actually leveraging the value of a stable coin. As long as they are properly audited and operated, one stable coin represents one USD which means that there is no need for a separate liquidity on LGO. Since their adoption by other cryptocurrency exchanges, stablecoins and fiat currencies have traded individually against Bitcoin. 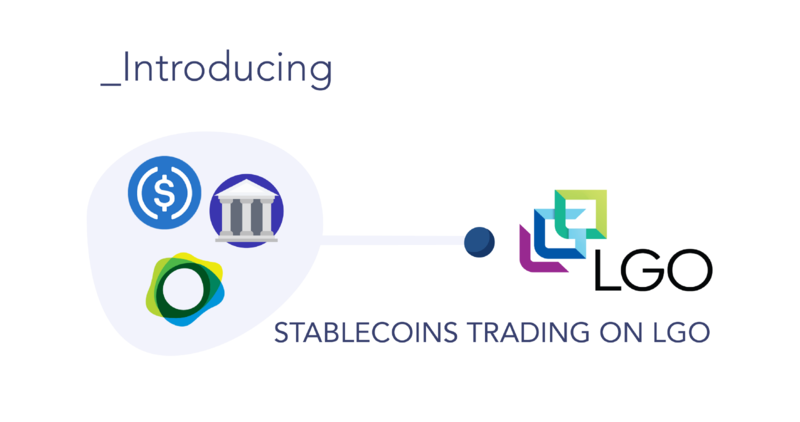 By implementing this solution, LGO Markets will allow institutional clients to trade seamlessly and without friction, while enjoying common liquidity for all of their BTC trades. LGO is dedicated to constantly providing the highest security standards to our clients. The same rigorous transactional AML processes that are currently in place on LGO have been implemented on stablecoin transactions. Uniting different denominations of USD into a single order book will help grow LGO’s client base and liquidity. Clients who wish to fund their BTC/USD trades using PAX or USDC will be required to go through LGO’s onboarding process and will be able to begin trading on LGO within a matter of days. LGO Markets is a compliant, transparent, and non-custodial digital asset trading platform designed for institutional investors. _ If you are a trading business or a financial institution, please fill out this form and/or contact our sales team (sales@lgo.markets). _ If you want to test our platform, here is the link to our API documentation and our Sandbox version.